With cryptocurrency mania over for now, blockchain startups need to dig a little deeper to attract attention. Their latest secret weapon: Nobel laureates. 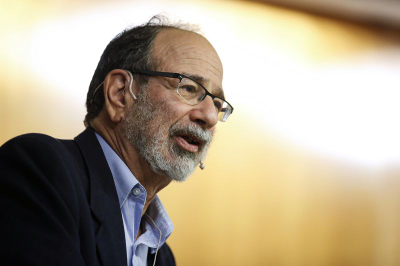 Covee Network is the latest venture to announce a partnership with an economist of the highest standing: game-theory and market design expert Alvin Roth, who shared the economics Nobel in 2012. Prysm Group is borrowing the brain -- and name -- of Oliver Hart of Harvard University, a 2016 co-laureate; and Cryptic Labs LLC has partnered with both Eric Maskin -- who shared the prize in 2007 -- and Christopher Pissarides -- a 2010 co-laureate. A year ago, just uttering the word “blockchain” was enough to spark interest. Photography pioneer Eastman Kodak Co. last year had a brief return to fame, and a 272 percent share-price jump, after a cryptocurrency licensing its name was announced. And soft-drink company Long Island Ice Tea Corp. rebranded as Long Blockchain Corp., with similar results, only to end up accused of misleading investors. But the magic has faded. In August, funding from initial coin offerings, which are used as an alternative to public offerings by companies in the cryptocurrency business, dropped to the lowest in 16 months, according to data from Autonomous Research. Bitcoin, the oldest in the space, fell by more than half this year to $6,655. The question is: Do the laureates just supply their names and reputations, or are they fully engaged in the projects? Roth will help Zurich-based Covee set strategy in regular phone calls and has direct access to the team because he works in the same building as one of its members. Options remain open for him to become a part-owner of the company, though neither he nor Covee disclosed payment arrangements. Like the partners at Cryptic Labs and Prysm, he’s described as an adviser. “It was the seriousness of the team, and our existing relationships that distinguished us,” allowing the firm to bag Roth, Covee Chief Executive Officer Marcel Dietsch, an alumnus of Oxford University, said by phone. The interest exhibited by serious thinkers “shows that the blockchain sector is growing up,” he added. Of course, not all winners of the Nobel Memorial Prize in Economic Sciences agree on the benefits of cryptocurrencies. “Bitcoin is evil,” Paul Krugman, a 2008 laureate, wrote in his New York Times column in December 2013. Even Roth says much of what Covee is setting out to do can initially be achieved without the blockchain. Covee’s white paper -- with its discussion of game theory, including payoff diagrams -- seems custom-designed to win over an economist. It’s authored by six Ph.D.s from, among other schools, Harvard and Imperial College London, one of whom studied under Roth. The project is likely to launch in November. It does not currently have plans to raise funds via an ICO. Dietsch’s goal is ambitious: He wants to disrupt the firm itself. Using the Ethereum network, he aims to create a marketplace for skills that will allow ad hoc teams to form around business projects. A scientist who has developed a new drug, for instance, could seek out an expert in regulation and someone with experience in marketing. Once the project is complete and the drug brought to market, they could disband. Dietsch says blockchains will replace the intermediation function of the firm. Value tokens will be used to enforce participation and solve the free-rider problem, while smart contracts will address coordination issues.